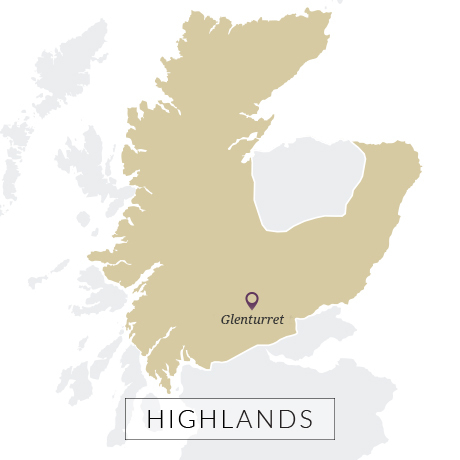 Glenturret has stuck to its farm origins, remaining one of the smallest of Scotland’s plants. The mash tun contains only a tonne of grist, the washbacks are wooden, and the stills have a slightly rudimentary look about them suggestive of a more rustic approach to whisky-making. This is not however borne out in the spirit which is light, acidic, and intense. 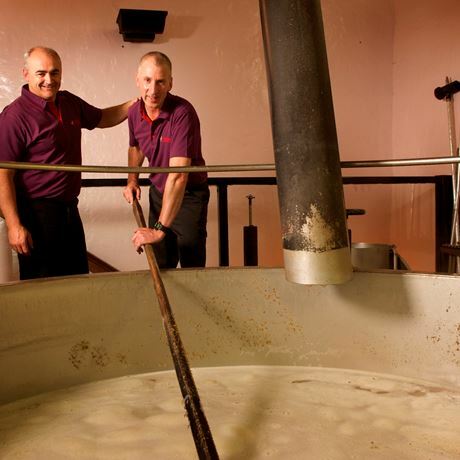 Some heavily peated malt [called Ruadh Mhor, ‘Big Red’] is also made, which goes into Black Grouse. Glenturret has an uncommonly chequered history. On one hand, it is fond of claiming to be Scotland’s oldest distillery. On the other, it could be said to be one which helped to usher in a new era for distillation. 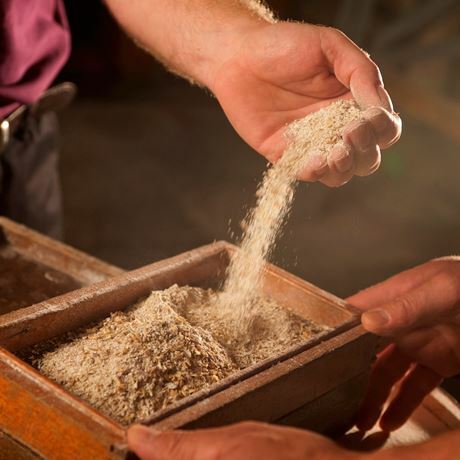 The oldest distillery claim doesn’t stand up to much scrutiny. The site is claimed to have been the site of an illicit still known as The Hosh [Gaelic for ‘foot’] which was operational in the 1770s, though quite why an illegal operation would have a name is slightly unclear. Licensed distilling on the site only started in 1818 when John Drummond began making whisky. Unlike many small Perthshire distilleries of that period, it survived the trials of the 19th century and in 1875 it changed its name from The Hosh to Glenturret – taking the name from a nearby distillery which had failed 20 years previously. The troubled times of the 1920s hit it hard, and in 1928 it was dismantled. In the late 1950s, however, James Fairlie had the idea of building a new plant inside the old buildings. He bought the stills and mash tun from Tullibardine (which was being refitted) and got Glenturret up and running once more in 1960, in time to take advantage of the upturn in whisky’s fortunes. Fairlie and his son Peter also saw the potential in whisky tourism and soon opened a visitor’s centre – the second distillery to do so. It was, for a decade, part of Rémy Cointreau (1981-1993) before joining Highland Distillers [now Edrington] who, in 2002, radically transformed the site into The Famous Grouse Experience. Single malt bottlings are now rare.